Ducktape posted a topic in Hey buddy, can you spare a grade? Hi everyone First of all kudos to everybody who helps on this part of the forum. I've probably learned the most from this section. thank you! Here’s one of my favorites Not in the best shape but any help would be appreciated Thanks in advance! And kudos to two-piece! You have always helped and it doesn’t go unappreciated thank you! If you could only keep one book from your collection, what would it be? Ducktape posted a topic in Comics Market - Want To Buy! Looking for a copy in the 6.0-8.5 range. prefer no cream pages. Dont want to pay more than gpa. Thanks! Ducktape replied to Ducktape's topic in Hey buddy, can you spare a grade? Yes it is! I probably posted this in the wrong section. But it’s good practice :-). I Should try & get the graders notes. Hi Everyone, Can anyone give me an pinion on the grade of this book? All I have are these 2 pictures. I'll reveal the grade when I find out by the end of this week. Thanks in advance! Hi everyone Been wondering what grade you think this book is in. I tried taking photos of areas of concern like back corner and front spine. Any help is always appreciated by the great people that hang out and help in this part of the forum. Thanks in advance & have a great weekend! Joker, Jungle Action, Mr. Miracle, Ms. Marvel and more! [CLOSED] Avengers #684 (1st Immortal Hulk) CGC 9.8 - $175 COPIES ADDED! Looks like Bloodshot on the cover. I think the Rai#0 getting $500 is a glossy version vs the matte version. IIRC EW4 was a bloodshot cameo & Rai0 is a "better" story. Both awesome books. Hoping all the best for valiant! Please Grade My Rai #0! 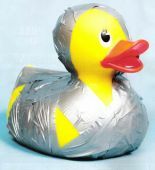 Ducktape replied to jfree580's topic in Hey buddy, can you spare a grade? its a "glossy" version! IIRC the inside pages sticks out more. Ive never seen one in person but good luck!